I just fell in love with my newfound treat - White Coconut Bar made by Lindt! That big shout-out was from the bottom of my stomach heart. It was so creamy and "coconutty!" But to remedy my "loss," I shall stock up a few more bars next time shopping for groceries. *That'll be tomorrow morning! Can't wait any longer! Ingredients (for 6 big ones/8 smaller ones)? 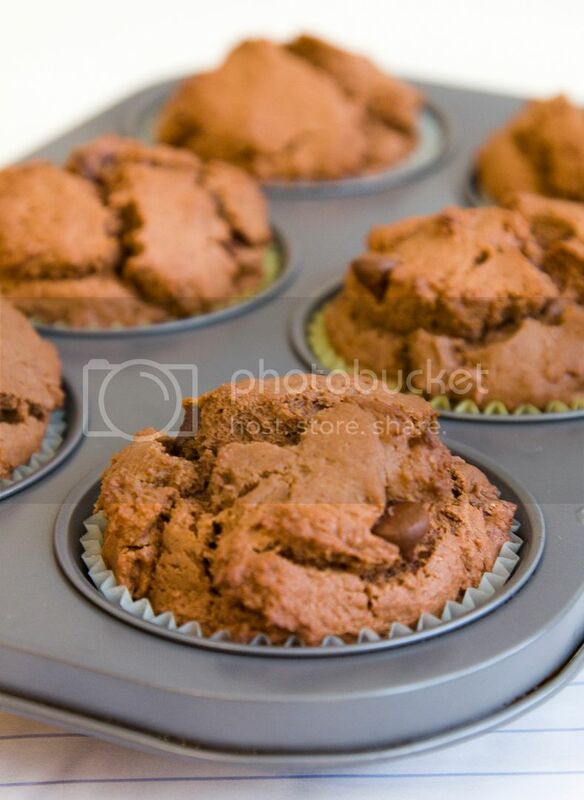 Line the muffin pan with paper muffin cups. Add one egg at a time and keep mixing the ingredients. Continue blending in low speed. Blend till fully incorporated and fold in the chocolate chips. When the cupcakes are ready, remove from heat and just let them cool down a little bit. I also added some chocolate sauce as decoration. Otherwise remember to add about 1/3 cup more sugar since the original recipe yields for a less sweet cupcakes. I'm just in love with that luscious sweet treat. Those look fantastic! I love coconut. Thank you~! *Your food looks so good, the comment is from my heart (not stomach this time haha)! I would not have known these are made of white choc and coconut. I have to taste them cos they look like choc chip cupcakes! 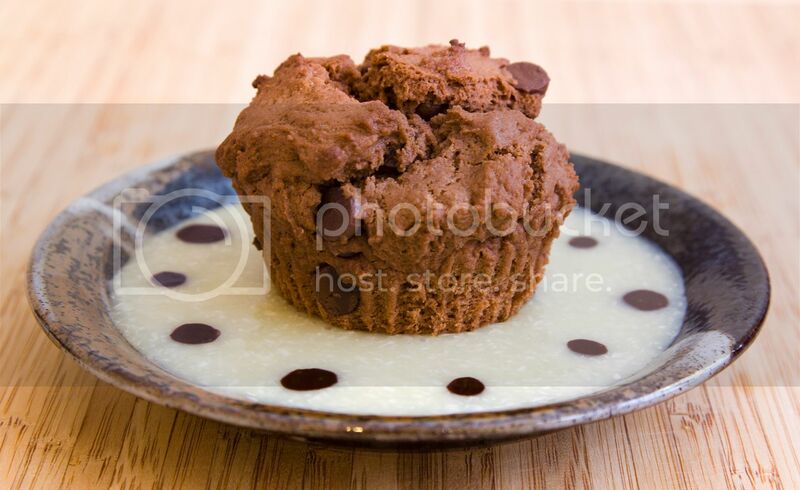 Cupcakes are made with cocoa powder and semi-sweet chocolate chips, the sauce is mostly just pure white chocolate and coconut (flakes)! I hope I can just send you few to eat! nice pics it looks really2 yummy. i almost felt i can smell the coconut sauce! I really like that coconut chocolate thing! So yummy! Your food really makes me so happy! Awwww I'm so glad you said that, I hope food makes everybody happy~!